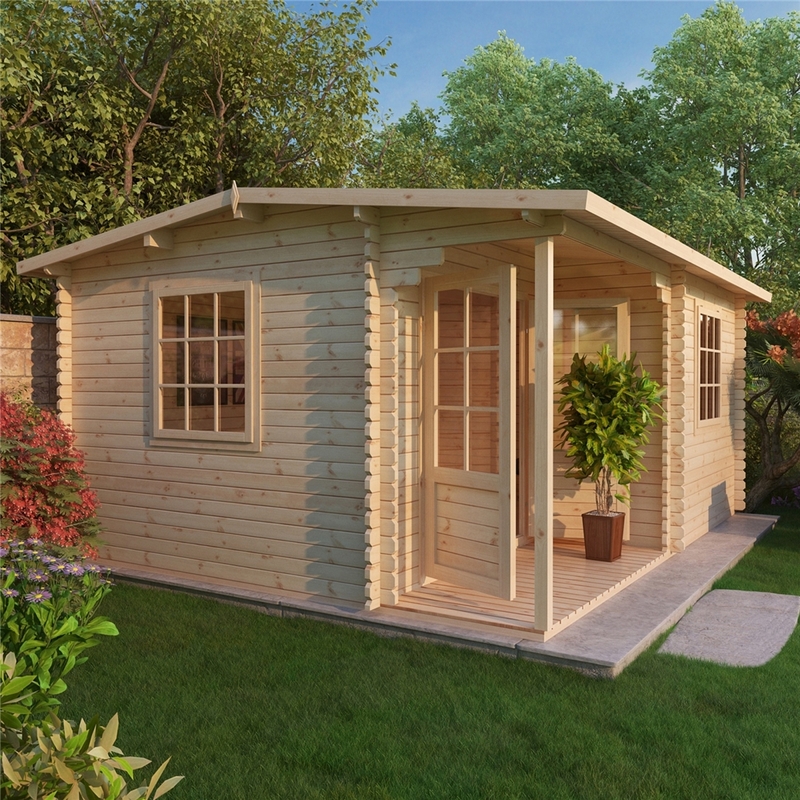 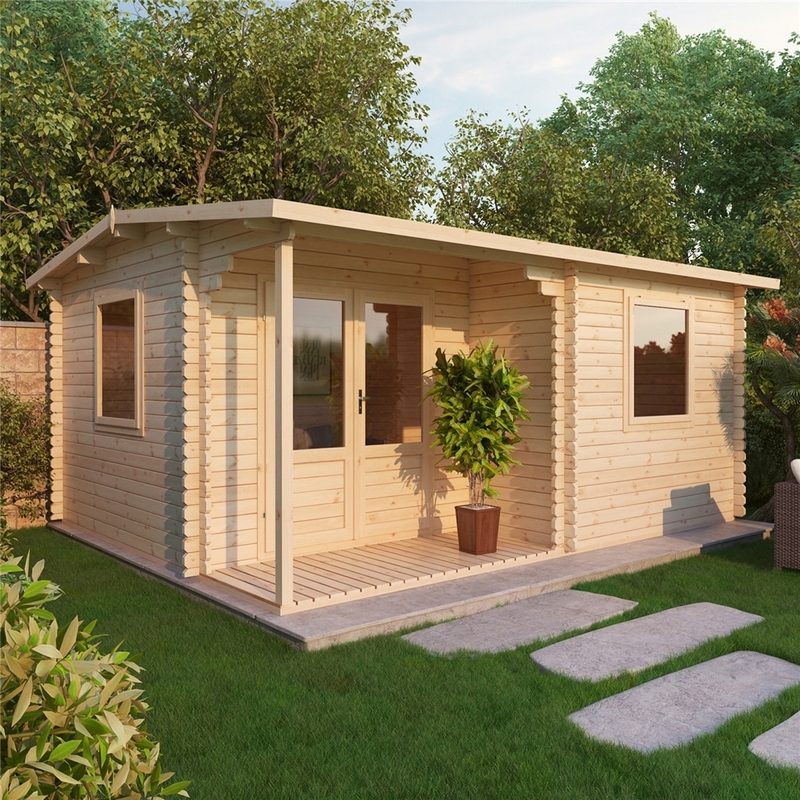 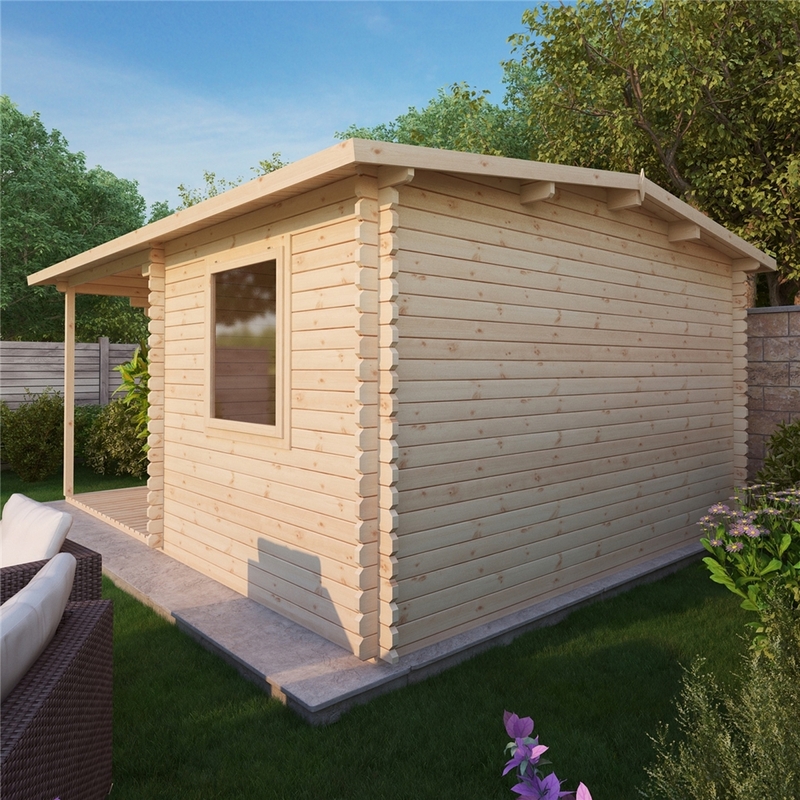 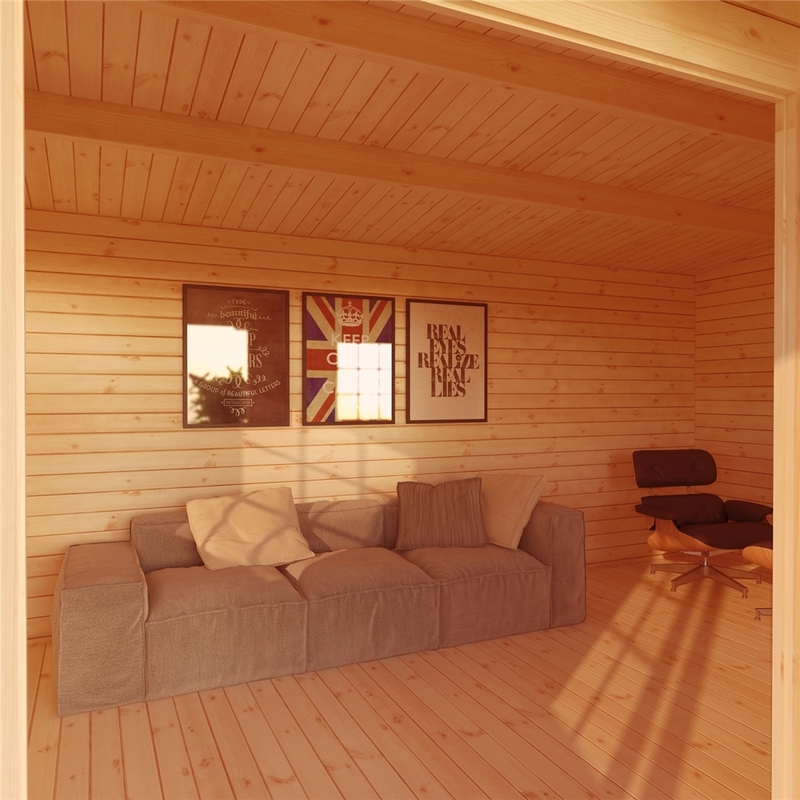 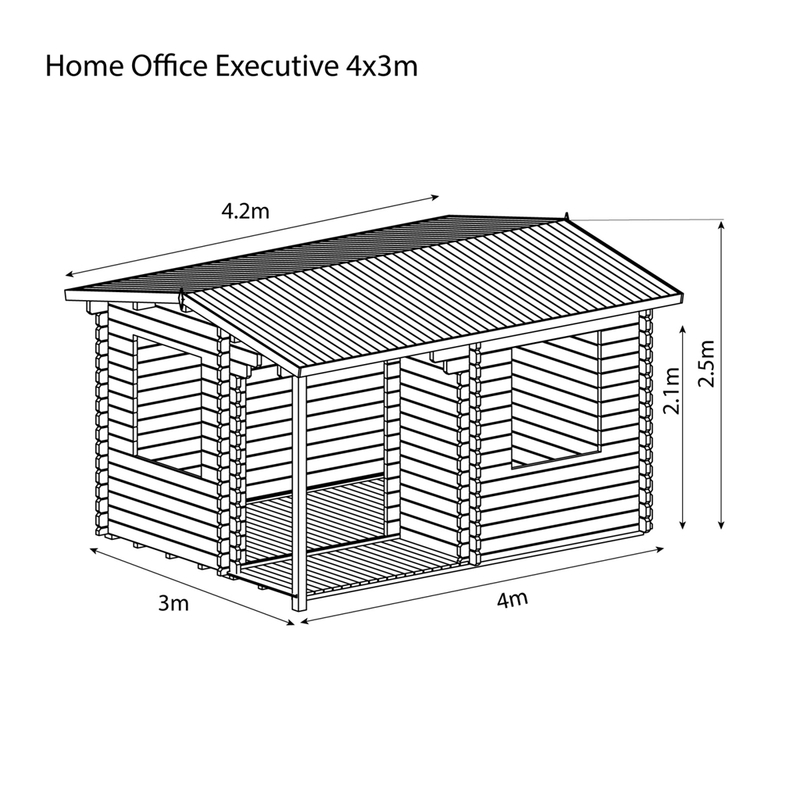 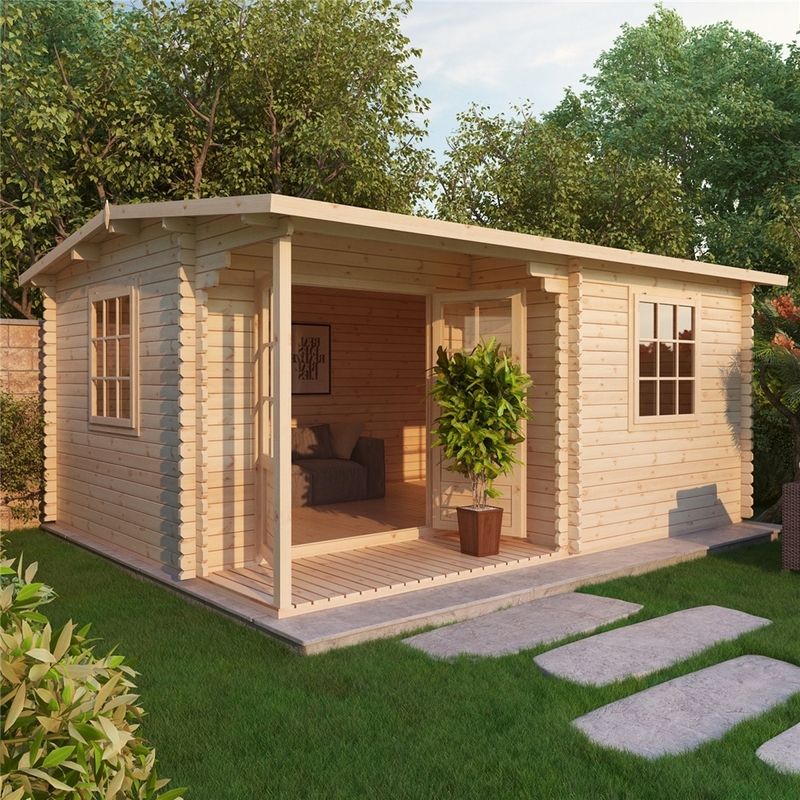 Construction consists of 28mm thick (34mm, 44mm also available) high quality softwood with double tongue and groove joints and wind tight chalet-connections from corner to corner. 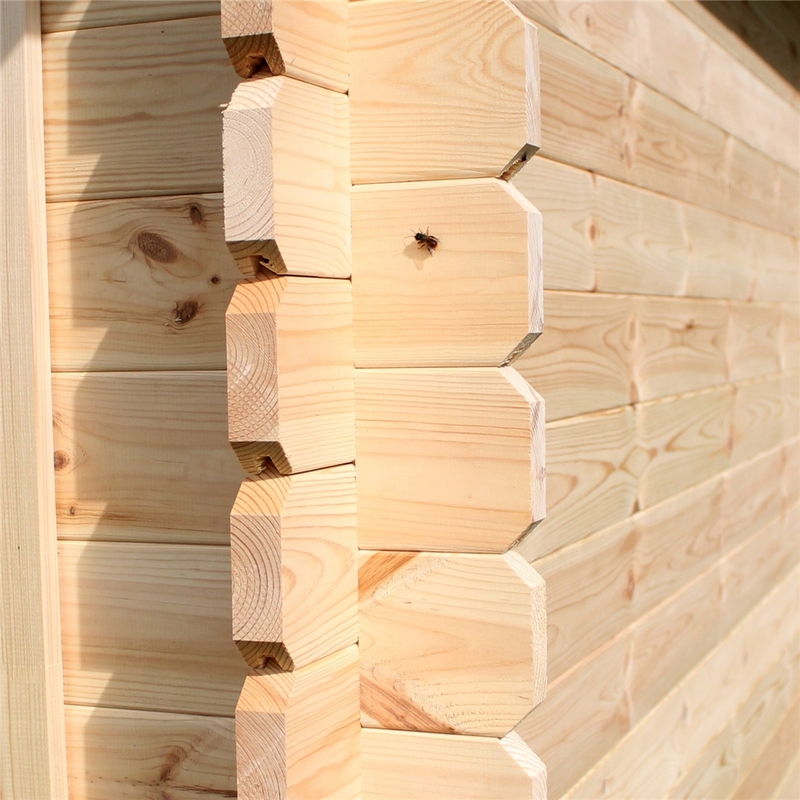 The door is made from laminated wood and is supplied with cylinder lock and handles. 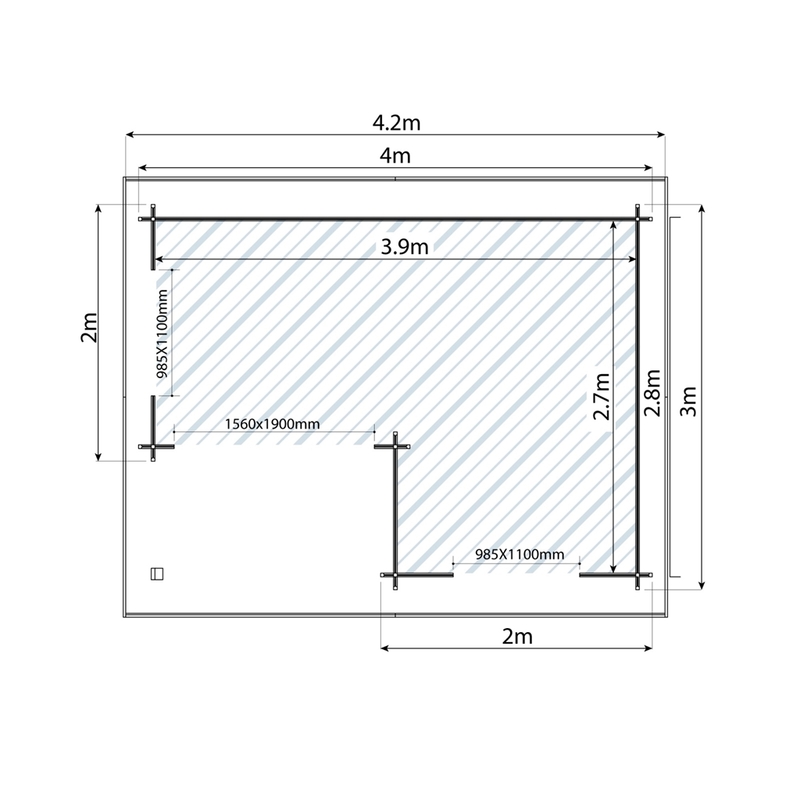 Both the door and window are glazed with double sheet glass (single glazing is also available).